Dorothea ”Dottie” Hand, 89, of Milan, passed away Wednesday, August 15, 2018 at Ripley Crossing in Milan. Dottie was born Tuesday, June 11, 1929 in Cincinnati, OH the daughter of Carl and Elizabeth (Bert) Schmidt. She married Andrew “Andy” Hand November 7, 1953 and he survives. Dottie was a member of St. Paul Lutheran Church, of the Eastern Star and a homemaker. She enjoyed working in her flower garden and yard, she worked at a daycare center and enjoyed dogs, bunnies and pigs. Dottie also enjoyed playing cards, cooking and baking. 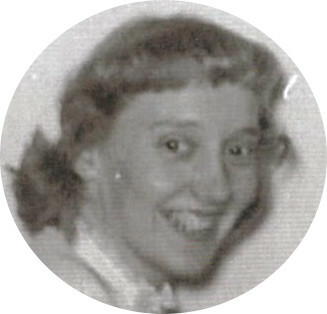 Dottie is survived by husband Andy, sons: Todd (Vivian) Hand of FL, Eric (Becky) Hand of Milan, daughters: Carla Unroe of San Francisco, CA and Elizabeth (Ken) Martini of West Chester, OH and 7 grandchildren. She was preceded in death by son David Hand, her parents, and 2 brothers: Gilbert & Leonard Schmidt. Funeral services will be held at 12 Noon Saturday, August 18, 2018 at Laws-Carr-Moore Funeral Home with pastor Sue Socha officiating. Burial will follow at St. Paul Lutheran Cemetery. Visitation will be 11 a.m. - 12 Noon Saturday also at the funeral home. In lieu of flowers make donations to the Ripley County Humane Society. Laws-Carr-Moore Funeral Home of Milan entrusted with arrangements; 707 South Main Street, Box 243, Milan, IN 47031, (812) 654-2141. You may go to lawscarrmoore.com to leave an online condolence message for the family.